A first-time chief minister Jairam knows well that the real test of his leadership will be the performance of the BJP in the impending election. He is young and energetic and toiling hard to establish himself as a mass leader. He made the best of the opportunity to highlight the achievements of his government and project himself as a man of masses by ensuring a huge turnout. 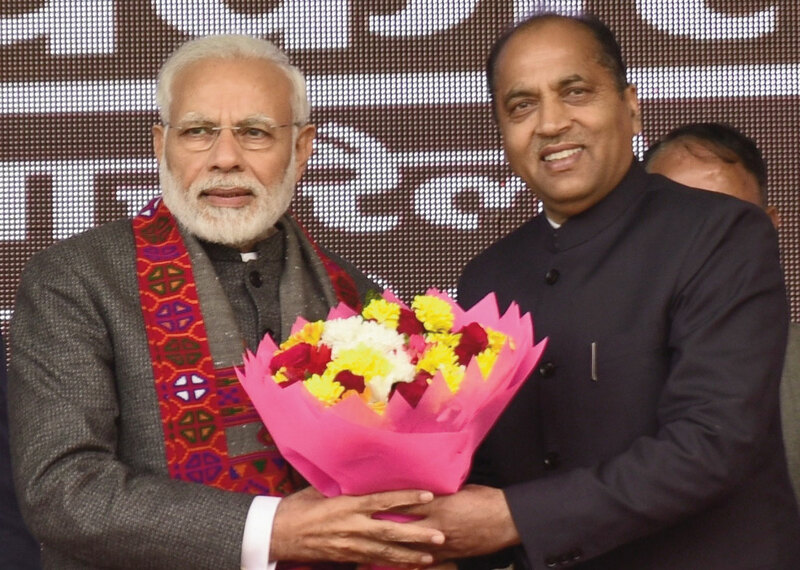 Prime Minister Narendra Modi and Chief Minister Jairam The ruling BJP made the completion of one year of the Jairam Thakur government in the state a big political event. Prime Minister Narendra Modi addressed a massive “Jan Abhaar” rally at Dharamsala to mark the occasion. It is not often that a Prime Minister spares time for such routine celebrations; the obvious aim behind the “show of strength” was to set the ball rolling for the Lok Sabha polls. Not to be left behind, the opposition Congress came out with a 34-point chargesheet highlighting the acts of omission and commission of the government. A first-time chief minister Jairam knows well that the real test of his leadership will be the performance of the BJP in the impending election. He is young and energetic and toiling hard to establish himself as a mass leader. He made the best of the opportunity to highlight the achievements of his government and project himself as a man of masses by ensuring a huge turnout. 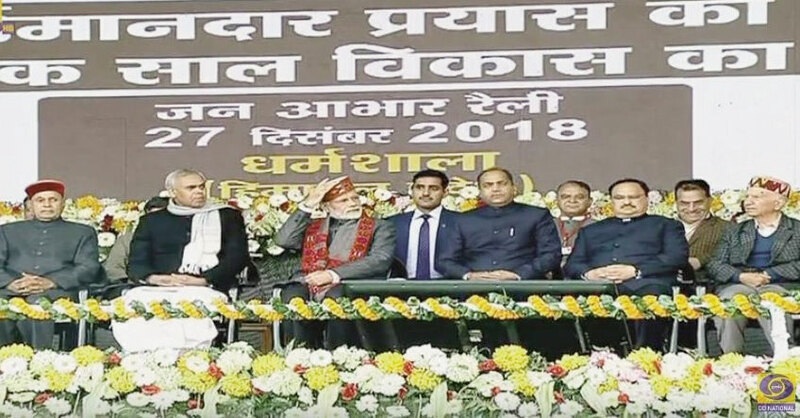 The effort was rewarded as Prime Minster showered lavish praise on the chief minister and during his 42 minutes speech he devoted almost 12 minutes to laud the new initiatives taken by the government to accelerate development activities in the state. Jairam claims that he has tried to give a new direction to politics and governance from day one. Citing an example, he said the new approach was evident from the decisions taken at the first meeting of the Cabinet held under his chairmanship. Unlike previous regimes, he did not take any blanket decisions to reverse the actions of the outgoing government or order any inquiries. Instead, the first decision was to grant pension to all the elderly persons in the state aged above 70 years. One year is not a long time to assess the performance of a government but it does provide some indication about the thrust areas, priorities and, more importantly, the quality of governance. 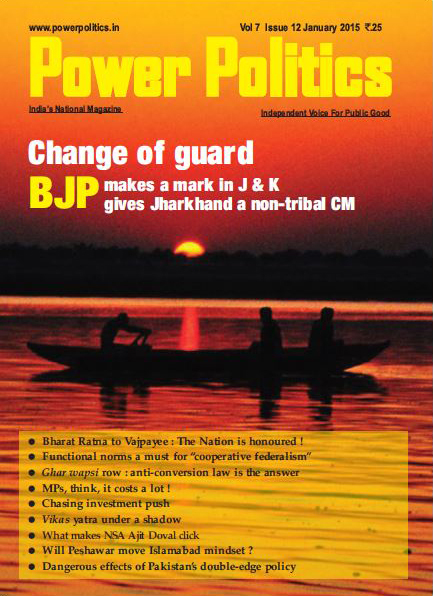 While Jairam claimed that his government had brought a whiff of fresh air in governance and ushered a new era of development in the state, opposition Congress described the one-year of BJP rule as an unmitigated disaster. It indicted the Jairam government in strong words terming it as an “Epitome of Functional Anarchy, Nepotism and Institutionalised Graft” and also submitted a chargesheet against the government to take some of the sheen away from the Jan Abhaar rally. The main burden of the Congress criticism was that governance has gone for a toss and vested interests were calling shots as the first-time chief minister and his team of ministers, mostly inexperienced, has been constantly on tour. There has been no focus on governance and that the government has been brazenly pursuing a single-point agenda — to reward the near and dear ones and oblige the RSS lobby. Appointment of undeserving favourite persons is undermining importance, dignity and authority of key positions. It is true that Jairam has been constantly moving around the state and making a conscious effort to build a rapport with the people but he finds no merit in the charges hurled at him by the opposition on this count. He maintains that he had set the target of visiting all the 68 assembly constituencies in the first year to have a firsthand knowledge of problems being faced by people and assess the development needs of various parts of the state. He said he was able to cover 63 segments and he was quite satisfied with his effort. His government also started the Janmanch programme under which he and his ministerial colleagues periodically hold an open house in every district for solving the problems of people on the spot. Till date over 22000 grievances had been addressed through the Janmanch forum and its success had upset the opposition, Jairam claimed. Jairam said he made a sincere attempt to carry out the mandate of the people and the tagline “Imandar Prayas Ka , Ek Saal Vikas Ka” aptly sums up his performance. Prime Minister had himself publicly appreciated the efforts of his government during the rally and taken noice of the fact that the state had gone beyond the central government schemes to cover maximum number of people. For instance, the government noticed that Ujjwala Yojana ,under which free cooking gas (LPG) connections are being provided to all the poor households ,about one lakh people of the state were still being left out. 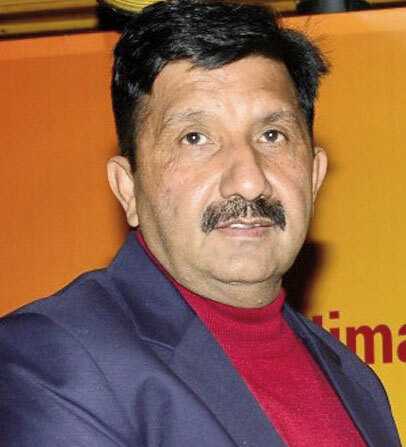 The government decided to come out with its own scheme to cover them and Himachal would soon become the first state in the country where every household id equipped with cooking gas facility. The thrust is on strengthening the road infrastructure as there is no other means of transport in the hill state,. A number of four-laning projects were under implementation and the state will have much improved connectivity over the next three to four years. It would provide much needed fillip to tourism, for which the state had a vast potential, and make it the engine of economic growth. A mega project has been formulated and its implementation will start in the next financial year. Home stay tourism had been a great success and a large number of units have come up in and around popular destinations like Manali, Dalhousie part of Shimla. Referring to the efforts being made to create jobs chief minister says the government proposes to hold investors meet in June which will be different from the past such efforts at which the focus was on inviting industrialists to set up factories in the state. It will be holistic affair with thrust on agriculture, horticulture, tourism, pharma and other such sectors which had huge scope for employment generation in the state. The government has already launched some schemes like “Swavlamaban Yojna” under which 25 percent subsidy was being provided to youth for setting up small enterprises involving an investment up to Rs 40 lakh. The subsidy was 30 percent for women entrepreneurs. 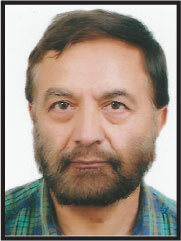 Leader of opposition Mukesh Agnihotri does not agree that Jairam was charting a new course . He alleged that he was making announcements regarding opening of new schools, colleges and other institutions just to woo the voters. Mukesh Agnihotri Leader of opposition Mukesh Agnihotri does not agree that Jairam was charting a new course. He alleged that he was making announcements regarding opening of new schools, colleges and other institutions just to woo the voters. The BJP government had taken a number U-turns and it had taken decisions for which it criticised the Congress government while in opposition. It announced that it will not appoint chairpersons to various boards and corporation and refrain from granting extensions in service o officers. However, within months he yielded to pressure from party and made several appointments. Similarly, the also used to attack government for purchasing expensive cars, indulging in wasteful expenditure and raising loans but it had set new records by acquiring luxury cars and it had been raising loans every now and then to meet the day-today government expenditure. 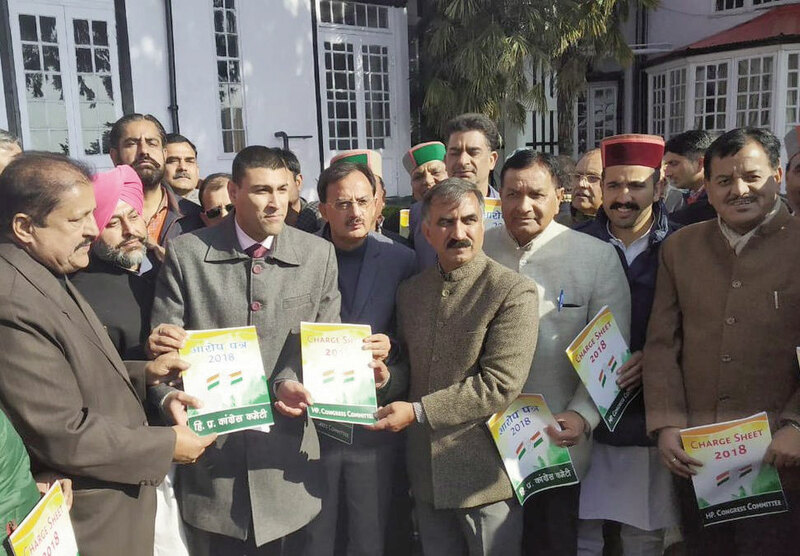 The Congress termed Janmanch programme as a farce at which poor tax payers money was being used for organising red carpet welcome for chief minister and ministers. It served no useful purpose and administration was hosting lunch to attract crowds. Earlier, previous government held “Prashasan Janata Ke Dwar” programme for addressing the grievances of people on the spot without incurring such huge expenditure.The government had failed to even supply uniforms to school children and the Rs 1,134- crore Horticulture Project has been in a limbo due interference of the minister which forced the World Bank , the funding agency, to put the project under suspension. A five-time MLA but relatively inexperienced incumbent like Jairam, who has donned the mantle of Chief Minister for the first time, will require more time to settle down. After initial hiccups he seems to be getting into the groove but his lack of administrative experience is discernible in appointments, transfers of officers and employees, and decision making. He does not command the same authority over his ministers and bureaucracy as his predecessors and that reflects in quality of governance.